Still-life work shows the artist as an integral part of fruit set on a table installation. The genre “still life”, is perhaps the most common in the history of painting. 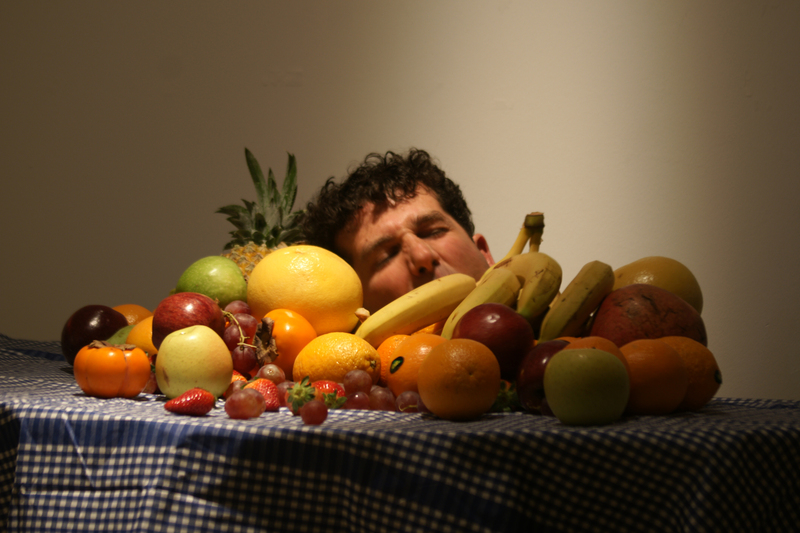 In the transition from painting medium to video, the artist turns the static scene into a situation that develops from a static action into a situation where digested fruits disappear. Combining the human body as an object adds historical reference standard to “Still life” which refers to life and death.